Many of us we have deep wounds of offense, rejection, betrayal andabandonment which do not simply wash away with time. Often times we do not realize these things in our hearts set us up for failure, or keep us from being who and what God calls us to be. Some neglect themselves, by dismissing and neglecting these sensitive parts, because they seem to not be an issue. The thing about the heart is that it is intertwined with the spirit and the soul, which both command the body. Some think the issue is people, when in reality it is Satan. Others blame God, when in reality it is Satan setting up traps, and quite shocking to the most naive of us sometimes it actually is God, allowing Satan to operate. As most people are before coming to Christ, I was self sufficient: Me, Myself and I, inclusive it was Me against the World. I was quick to point an accusatory finger towards myself and others if I found them at fault. Before Christ, I didn’t like myself much, my upbringing, my past decisions: but I actually did not know it. I thought I loved myself, until God shined His light over me. I hated feeling vulnerable and broken, because I had to be hard which was my self defense mechanism. And these are all heart issues, which is why I’m taking the time to mention them. Most times we come up thoughts, and we think they come from us, or from God- and this is the tricky thing about condemnation. Condemnation brings guilt, and separation from God, brings our focus to SELF. Even with all of our faults, God sees the possibilities. Grace showed me that God doesn’t care about what I do, He cares about my heart in how I see HIM. Our knowledge of God is so important, it is liberating or it is condemning. I actually know people who know God, but have not tasted and seen His mercy and goodness. 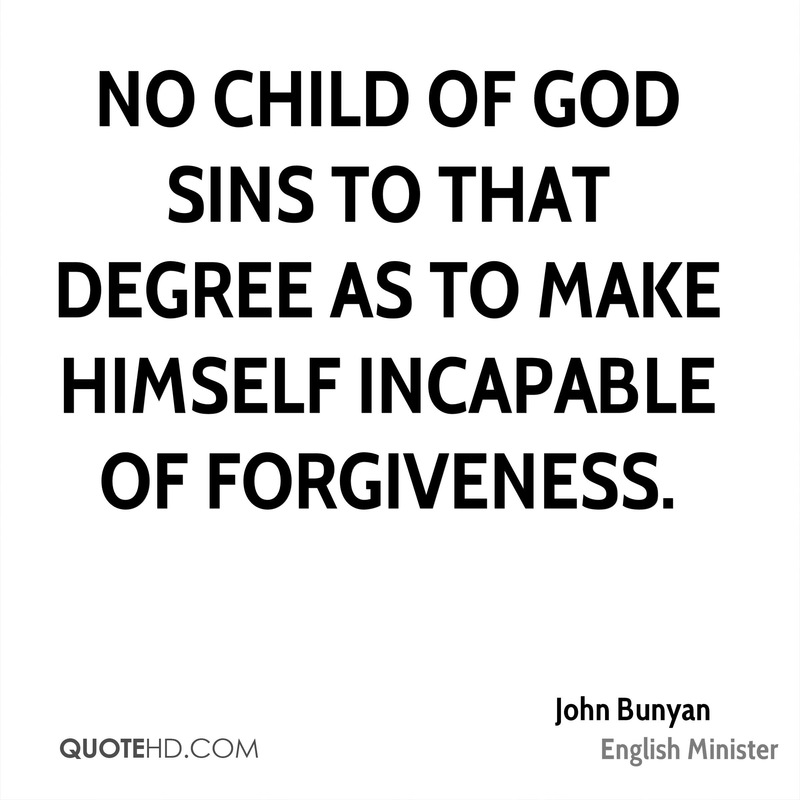 And it is very hard for these people to forgive themselves when failing God. As I said the correct perspective of God is liberating. When we know God, and fellowship with His spirit we know that provision comes. God’s healing comes to us: be it physical, emotional, mental or spiritual healing. God wants to heal every area of our lives, but He cannot do so if we limit ourselves to thinking we know Him already. Think about that. Have you ever thought of yourself as a child and thought of God as a wonder. This is what God desires from all of us: to become little children. We are so busy being adults in God, that we forget to be little children. Children need parents. They need love and affection, they need food, they need rules and correction. God doesn’t see you as the big mess up that you see, He sees you as who you are called to be in Christ. God sees you as who Christ died for you to be. We want to make God proud, but apart from Him we can do nothing. Today let’s ask God to be our daddy God. Maybe you grew up in a troubled home, maybe you have a step father, maybe you were abandoned, maybe you were violated or battered. Today let God wash away all the things in your heart which keep you looking at yourself in the limited way that you do. And ask God to give you His eyes. 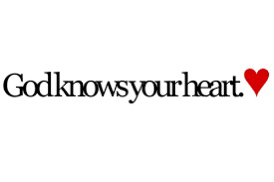 Because truth is God knows your heart, your real heart. He knows what you think about. He knows how you think and He knows when you didn’t mean to do something, and even when you meant to do it: and He doesn’t judge you for it. He is still the God of grace. He is still the God of forgiveness. He is the God of favor who will never give up on you, even if you give up on Him. As a mother or father who raise a child in the best way possible, and that child turns out to be the worst: the parents still love that child the same! They may not approve of their actions, but their love hopes for the best to be for their child. And what a much greater love has the father bestowed in us that we should be called the children of God. May God show you who you are. And may you be His child, may you run to daddy because you are excited about life, may you cry to daddy when you are hurt, may you say sorry when you go against His rules because you were being a self sufficient child. May God’s love permeate through every broken place in your life, and may His strength cover you in your daily life. In Jesus name I pray, Amen.